The following SIUE faculty lead the research projects and direct the other work of GREEN and LARCE. Bill Retzlaff, PhD, distinguished research professor of biological sciences and associate dean of the SIUE College of Arts and Sciences. Retzlaff specializes in evaluation of green roof and green wall technologies, sustainable green infrastructure, and sustainable use of residual waste products. He is the co-director of GREEN. Susan Morgan, PhD, professor of environmental engineering and associate dean for research and graduate studies in the SIUE Graduate School. Morgan is an expert in environmental engineering and has specific interests in the use of green infrastructure for stormwater management and improved sustainability of communities. She is the co-director of GREEN. Serdar Celik, PhD, 2018 Paul Simon Outstanding Teacher-Scholar and associate professor of mechanical and industrial engineering in the SIUE School of Engineering. 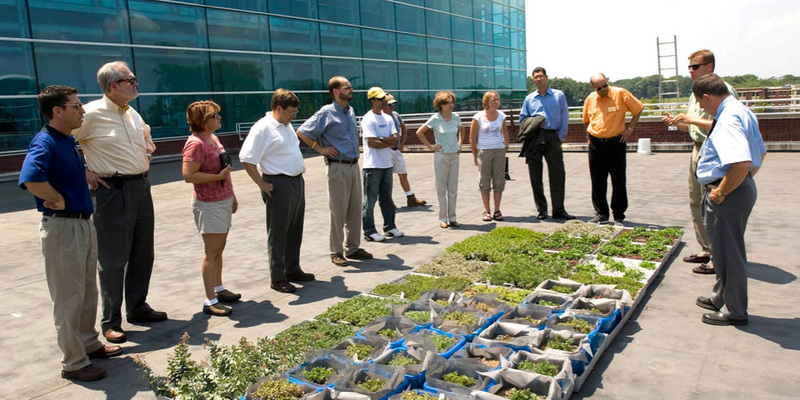 Celik’s research focuses on quantifying thermal benefits of green roof and green wall systems both experimentally and theoretically.